This season, we are seeing a return of the classic pearls, but with modern designs that continue to revolutionise the silhouettes. We see creations that stun either with big and bold styles or with minimalistic yet fun and innovative concepts. Early on, Greek jewellery designer Melanie Georgacopoulos discovered exciting possibilities by slicing and halving pearls. 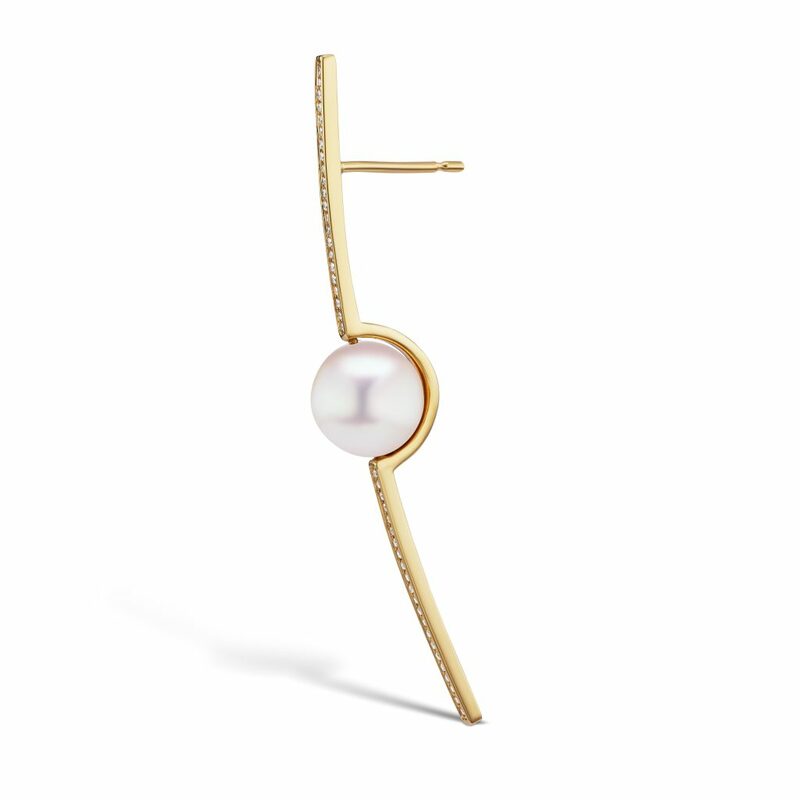 The imaginative designs for Melanie’s signature line as well as her collaboration with Tasaki for the MG Tasaki collection are a nod to her commitment to reinvent the way pearls and mother of pearls can be worn. French-Filipino luxury jewellery brand Jewelmer works around exceptional South Sea pearls to create both classic and lavish fine jewellery creations. For its latest Cruise collection, the brand takes inspiration from “an ancient ship that held men’s weight as it glided into the water”. The graceful silhouette of the sails of a boat is immortalised by 18K gold and diamonds in a pair golden South Sea pearl earrings. Inspired by the Chinese lantern plants, Ming Lampson’s Fruit Pearls earrings explore the connection between fruit and flowers. Rare with natural colour, lilac freshwater pearls hang from long platinum and diamond chains — above each pearl, light twisted leaves are set with no-heat sapphires and spinels that graduate from lilac to blue. Ana Khouri dreams up the most gorgeous collections. Ana, who studied Fine Arts and specialised in sculpture before turning to jewellery design, accentuates her creations through organic and fluid forms. 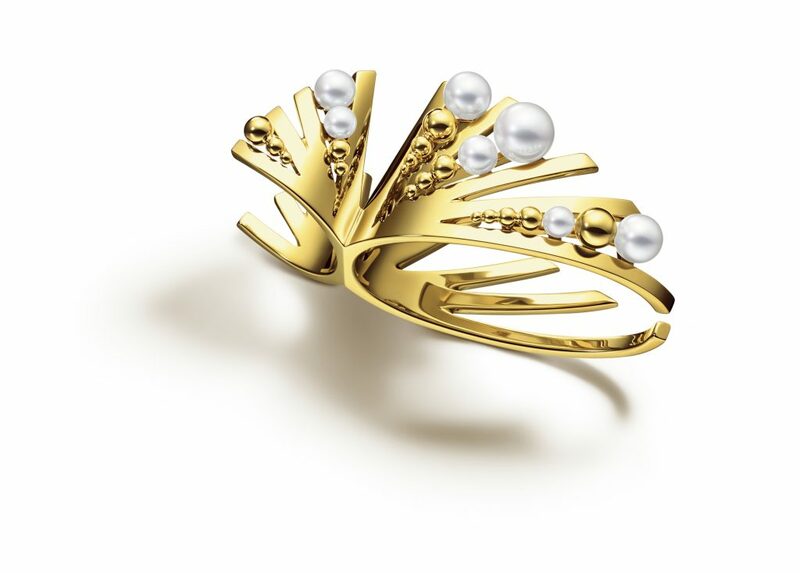 Her Pearl Lily earrings and Pearl Time ring feature pearls and 18K fairmined gold. For his debut high jewellery line introduced in Spring 2018, Global Creative Director of Tasaki, Prabal Gurung, blended surrealism with couture and took jewellery to new heights. 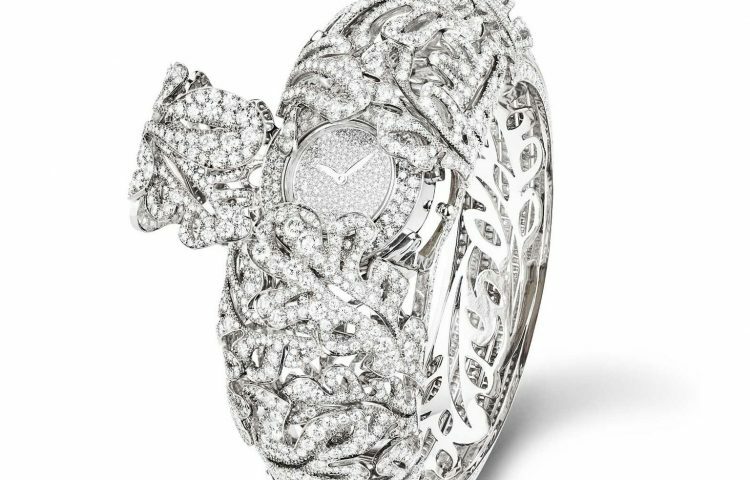 The unique curves and graphic lines of the Atelier Tasaki collection were designed with a couture approach and integrated the surreal. 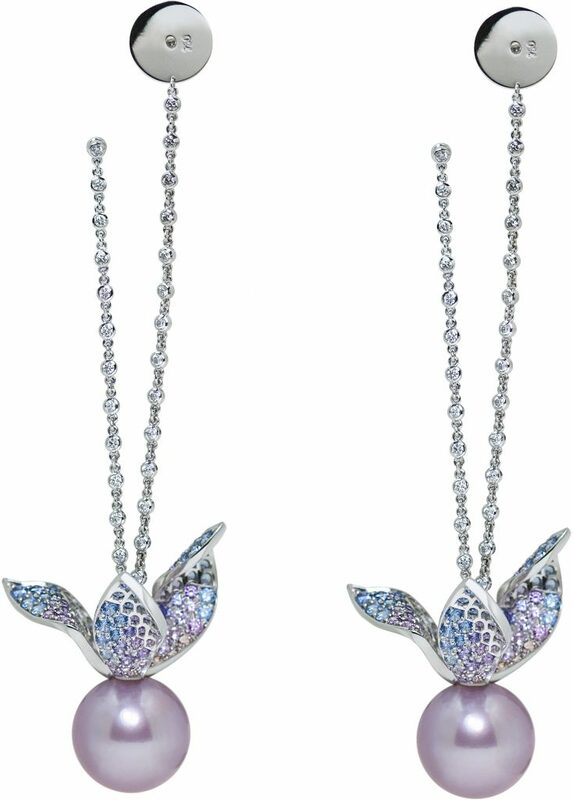 “The inspiration began on a trip to the Tasaki pearl farm in Nagasaki, where I learned about the AMA pearl diving mermaids of Japan,” he explains. Prabal loves “the juxtaposition of using beautiful, delicate jewels and precious stones with a more modern approach to the design”. 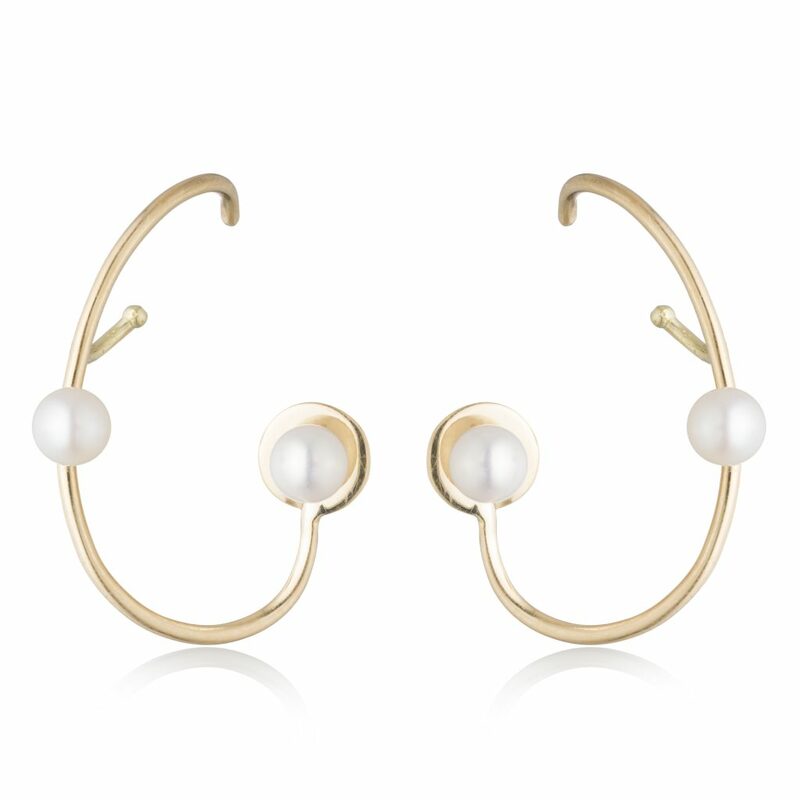 His Tasaki Atelier line mirrors this very vision, resulting in a beguiling pearl high jewellery collection. Long-time friends Isabel Encinias and Mark Kroeker joined creative forces to launch Tejen, a “conscious luxury brand”. Tejen’s V.03 Sable Doré collection featuring gold spheres and Japanese akoya pearls in loopy, diamond paved ribbons echoes a minimalist design. Inspired by the sand dunes illuminated by the sun, the moon and the stars, the jewels hint at discreet luxury. 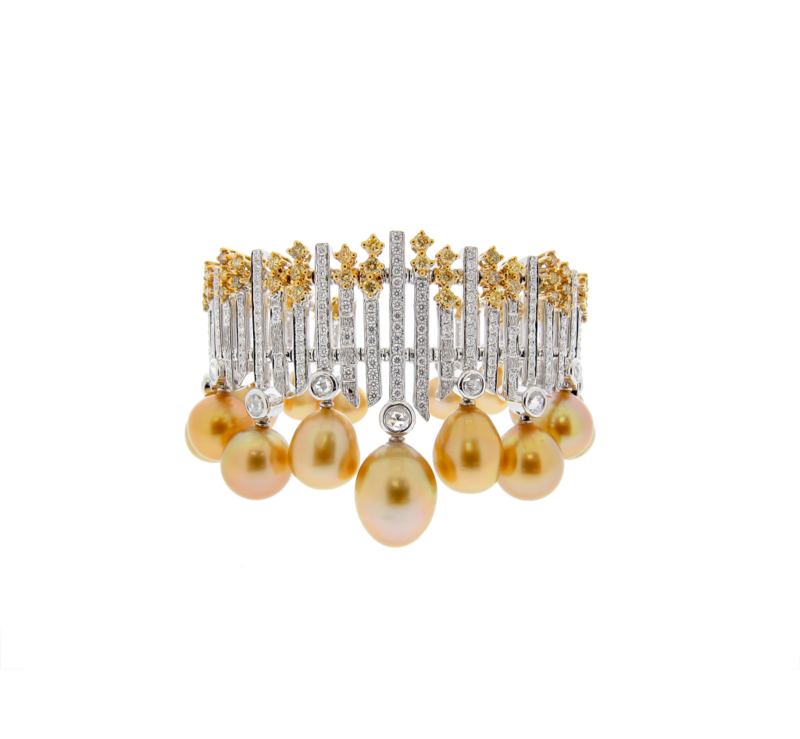 Qayten’s Akoya pearl bracelet, Mike Joseph’s curvy pearl-adorned jewels, Belford’s golden South Sea pearl and yellow diamond bangle alongside creations by Assael, Mizuki, and DK01 have ensured pearls are back on the style agenda.